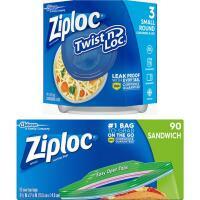 Ziploc Brand Containers make it easy to store gifts, household items and food while locking in freshness! You can hear the lid securely close with just one press. When you have a secure seal you know you are keeping food fresh, which saves you money.